Working with clients to ensure the mortgage process is smooth and stress free by walking them through the process step by step. Available to my clients all the time! 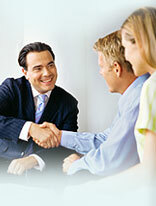 Over 22 years experience in the mortgage industry. I have helped first time homebuyers, seasoned homebuyers, homeowners looking to refinance, homeowners looking for debt consolidation, vacation home purchases, and investment property purchases. We have a full menu of products to offer every option available to fit every buyers situation with competitive rates.